Talk about a mobile revolution. A growing software movement is quietly taking hold on Android-based devices, allowing people to customize smartphones and tablets more to their liking. What's known as Android "software mods" can soup up devices with mobile Wi-Fi hot spots, new looks, alternative text messaging and more. Personalizing Google's operating system has morphed beyond geeky obsession as a means to add new features. Startup Cyanogen is leading the way. With "tens of millions" of installs, today it announced $23 million in funding for its popular CyanogenMod mobile software. "Currently, we're like Android on steroids and LSD. There's a bunch of features that you can't get on stock Android ... that you just can't do with any other OS," says CEO Kirt McMaster. 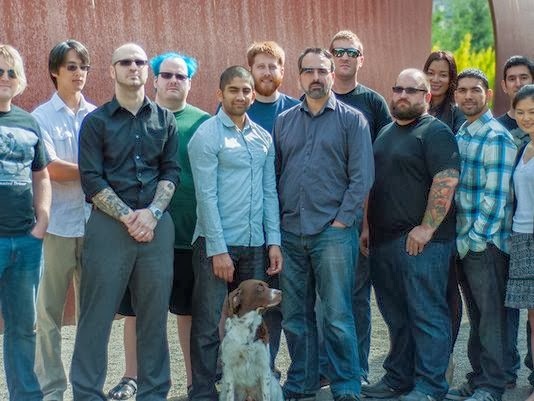 Formed in 2009, Cyanogen is the brainchild of founder Steve Kondik, who launched his Android modification, now dubbed CyanogenMod, into the open-source software community. Developers can make their own modifications to the code to bring new features, and such enthusiast ideas can be adopted by Cyanogen. "There's kind of a whole underworld," says Gartner analyst Brian Blau of those modifying operating systems. "It totally makes sense, but they have a lot of competition." Cyanogen's development team wants to make customizing Android phones more accessible to the masses. The startup last month launched an installer in an effort to automate the installation process that was otherwise reserved for the ultra-tech savvy. "The market is speaking, a revelation is under way here in the sense that users want a 100% compatible OS that is all about customization and personalization," says Peter Levine, a partner with Andreesen Horowitz. "I believe that trend will only continue." Cyanogen's McMaster says the startup's variant of Android can boost battery life on devices. But he also says that there are a lot ways that apps will be able to communicate and work together to enhance device capabilities in ways standard Android versions and Apple's iOS can't. Andreessen Horowitz led the funding round in Cyanogen and included participation from Benchmark Capital, Repoint Capital and China's Tencent. The investment in Cyanogen will be used to hire developers to boost the software's functions and ease of use. The investment round brings Cyanogen's total funding to $30 million.